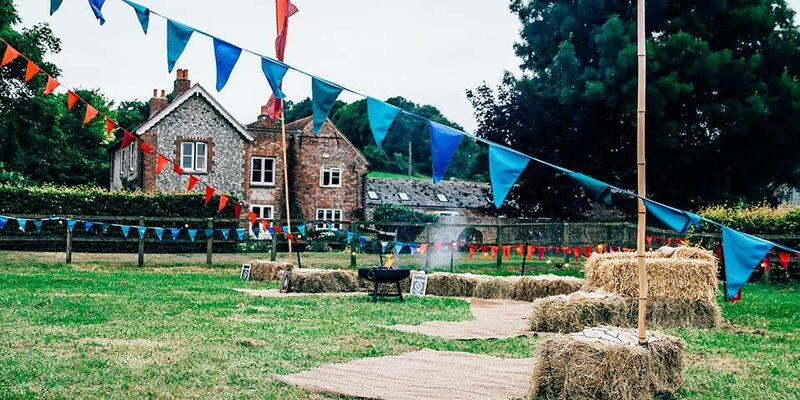 A summer birthday, a fabulous outdoors area with plenty of space – we couldn’t ask for better when planning this particular 18th birthday celebration and the festival theme our client wanted was a perfect idea. 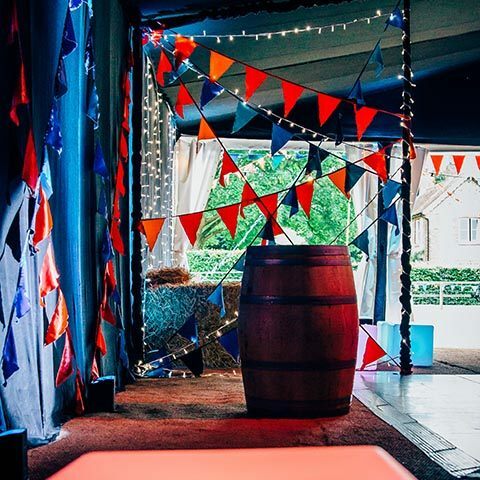 We conjured up an open-air festival with a fire pit, hessian-covered straw bales for relaxed and informal seating, decorated with plenty of bunting, festival flags, festoon lighting and added atmosphere with outdoor wash lighting. 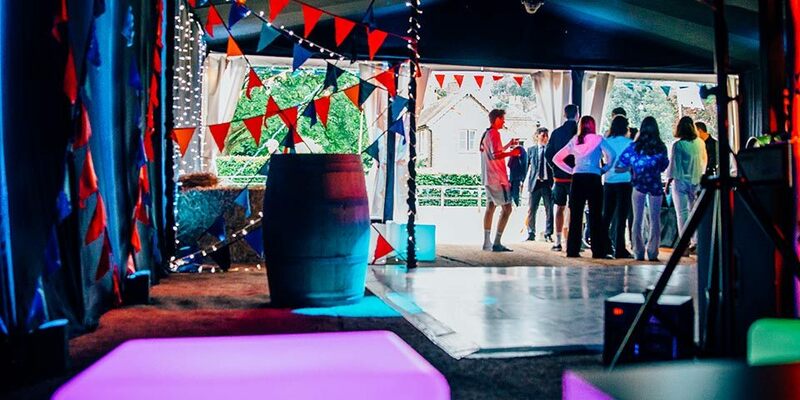 We also set up a clearspan marquee and divided the interior into two areas. 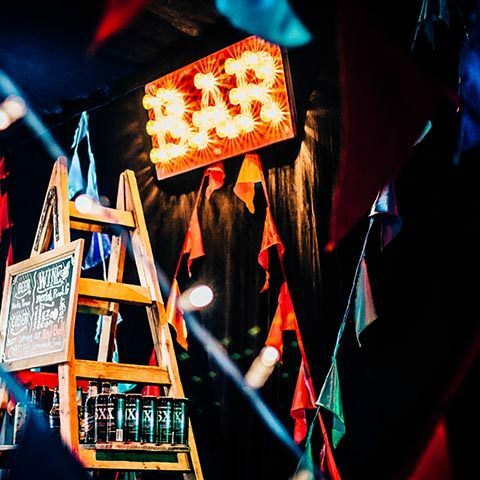 The first was for food and drinks, and we continued the rustic feel with lots of wood, large wine barrels and trestle tables, before entering the other half of the marquee where guests could enjoy a full-on nightclub. Our client opted for our platinum DJ package, complete with integrated video projection booth, club DJ, roving photographer and an abundance of lighting and special effects. 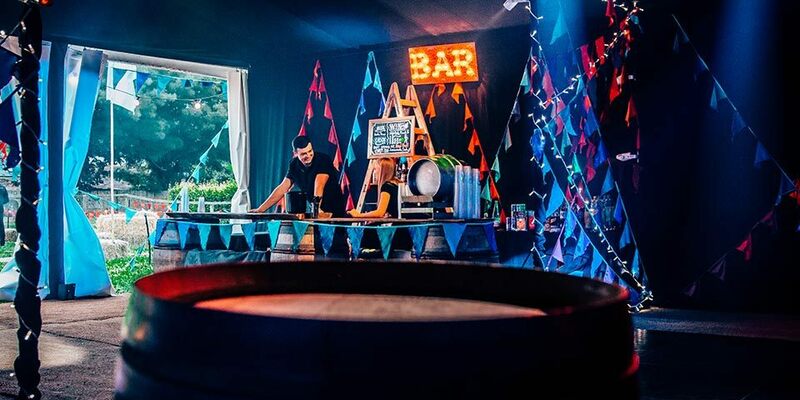 Catering was relaxed but amazing thanks to a mobile clay pizza oven. 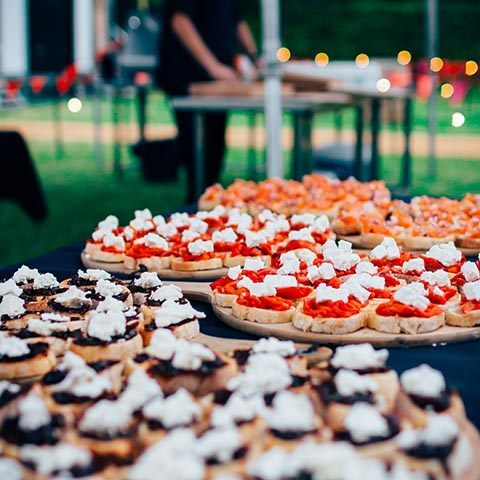 Freshly prepared mini bruschetta were served to guests on arrival and then it was on to a choice of pizzas for the main course. Adding a special touch, guests were invited to camp overnight in the adjacent field and we arranged for delicious hot bacon butties to be served the next morning.